We are always running new competitions with exciting prizes. Come back soon! Win a holiday for two to the best islands in the world! To be in with a chance, just visit our stand in the atrium at Westfield London (Shepherds Bush) between 2nd-8th November 2017. One Night accommodation in Manila courtesy of Discovery Prime. Thank you to our sponsors for this competition. Do you have a thing for sparkling aquamarine waters, glittering gold sand and cloudless azure skies? 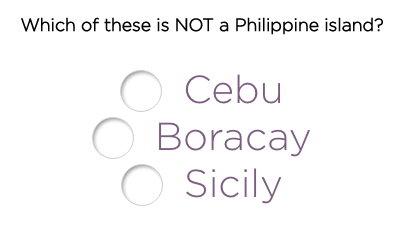 If you do, then The Philippines is for you! 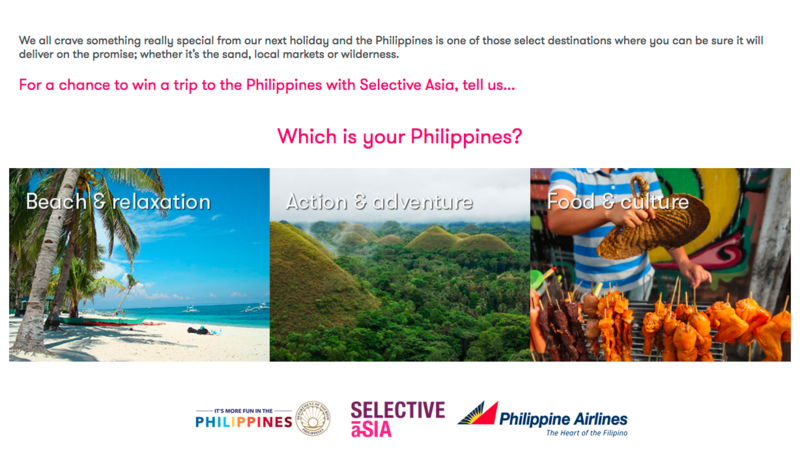 To win 6 nights in The Philippines, all you have to do is answer the question below. · Two roundtrip tickets via Singapore Airlines en route London Heathrow/Singapore/Cebu, with return flight from Kalibo/Singapore/London Heathrow. · A three night stay at Shangri-la’s Mactan Resort & Spa, Cebu, in a Deluxe Seaview Room for two persons with daily buffet breakfast at the Tides Restaurant (Beverage not included). 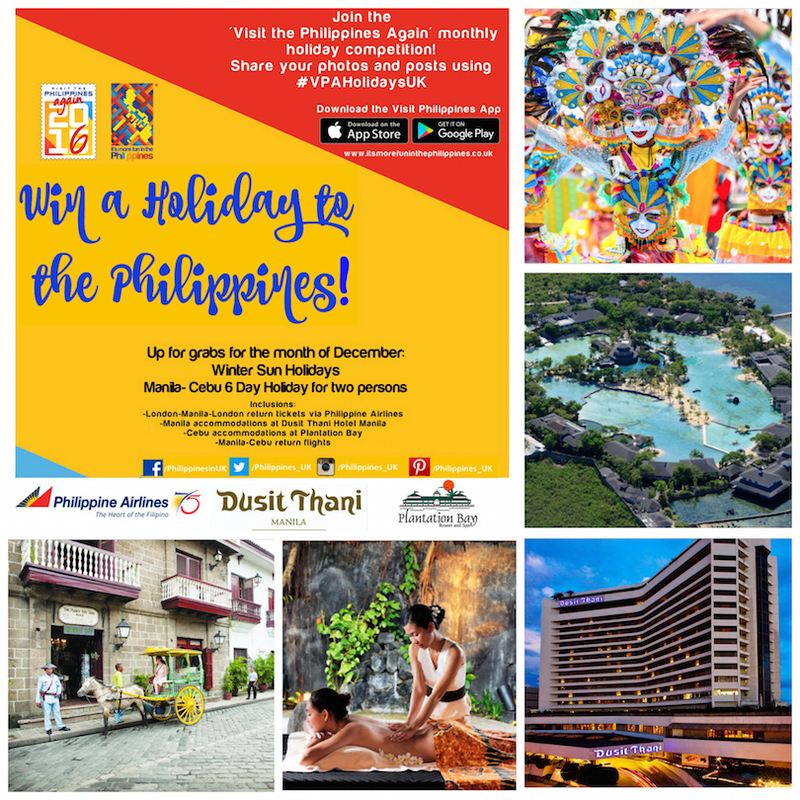 · And a three night stay at the Shangri-la’s Boracay Resort in a Premier Seaview Room for two persons with a daily buffet breakfast at the Vintana Restaurant. · Ground arrangements for two persons from Crystal Travel including roundtrip airport-hotel transfers in Cebu and Kalibo, and one-way domestic flight tickets from Cebu to Caticlan or Kalibo. 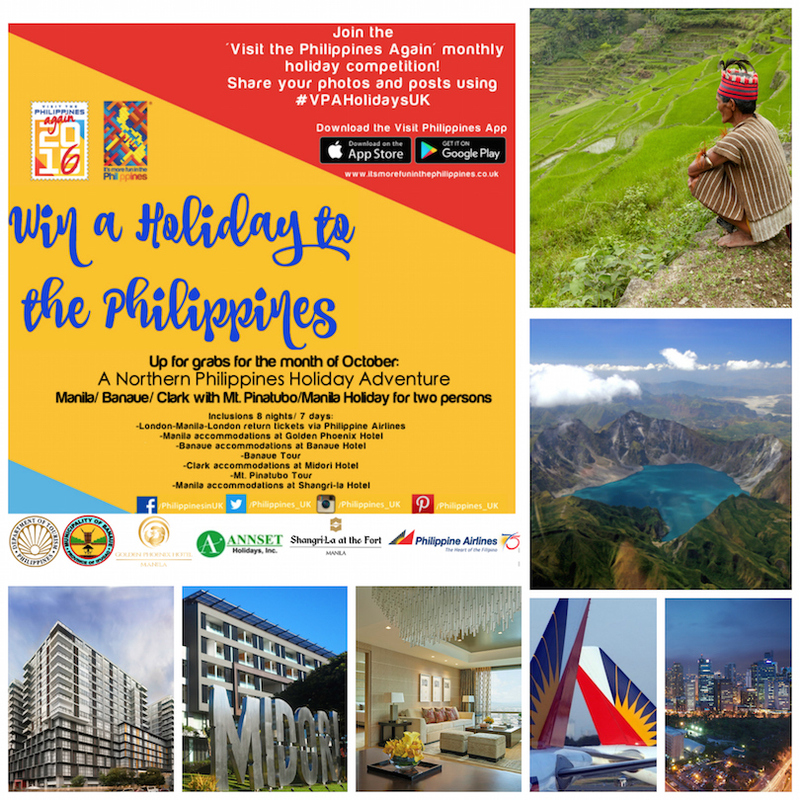 Win 8 Nights of Paradise in the Philippines! Competition period: 13th December 2016 up to 16th January 2017. Please see Competition Terms and Conditions.